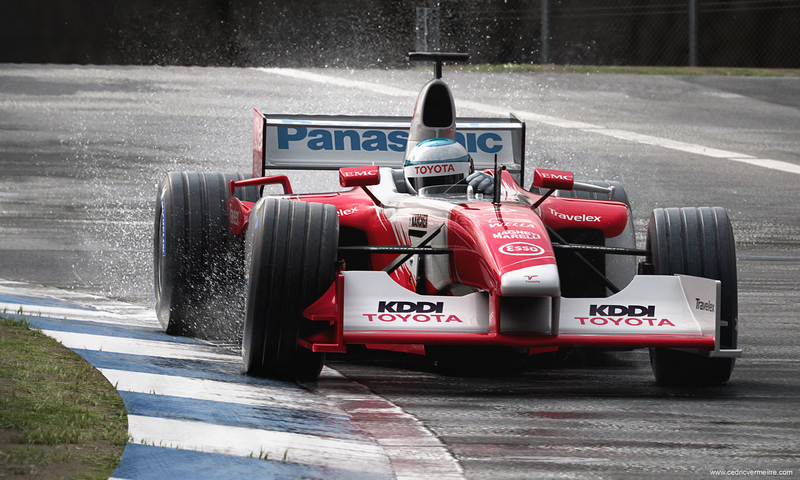 This is a Toyota F1 racing car from 2003 driven by the Finish driver Mika Salo that a modelled a few years ago. I was never really pleased by the renders I did. So I finally found the time and decided to give it a decent update by reworking almost everything. The goal was to create a realistic image that looked almost as a ‘common picture’ taken at the tracks. I used pictures from a real downscaled model of this car as reference for the modelling. Modelled the driver, updated all the textures and made the whole environment in CG. Photoshop was used for adjusting some colours, contrast and for adding the ‘heat-effect’ behind the car.